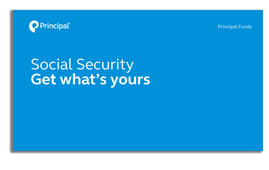 Provide more comprehensive retirement income planning by helping clients understand how to maximize Social Security and Medicare. 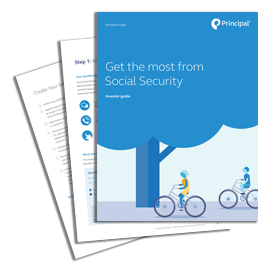 Learn three crucial factors that can make a difference in determining when and how retirees should file for benefits. When is the best time for clients to elect benefits? Determine a strategy to maximize benefits with these tools. Medicare is a critical—and confusing—component of retirement planning. Help clients make sense of it. The subject matter in this communication is provided with the understanding that Principal® is not rendering legal, accounting, or tax advice. You should consult with appropriate counsel or other advisors on all matters pertaining to legal, tax, or accounting obligations and requirements. Principal Funds are distributed by Principal Funds Distributor, Inc. ALPS Distributors, Inc. is the distributor of the Principal ETFs. ALPS Distributors, Inc. and the Principal Funds are not affiliated.